Luxury Suite Four’s views take in the North and East vista of the impressive Mont Rochelle Mountains and the Famous Middagkrans Mountain. 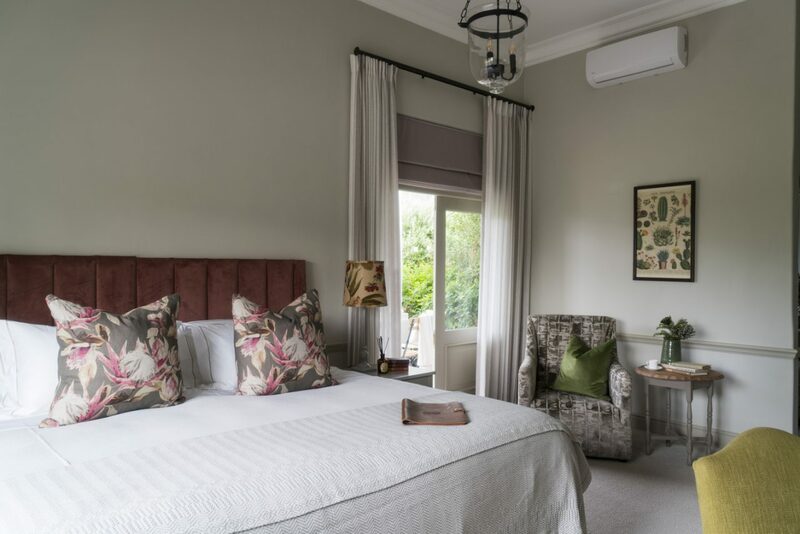 Echoing the colours of nature outside, Studio Parkington has chosen a muted palette of soft stone and spring green to create a tranquil feel for this luxurious space. 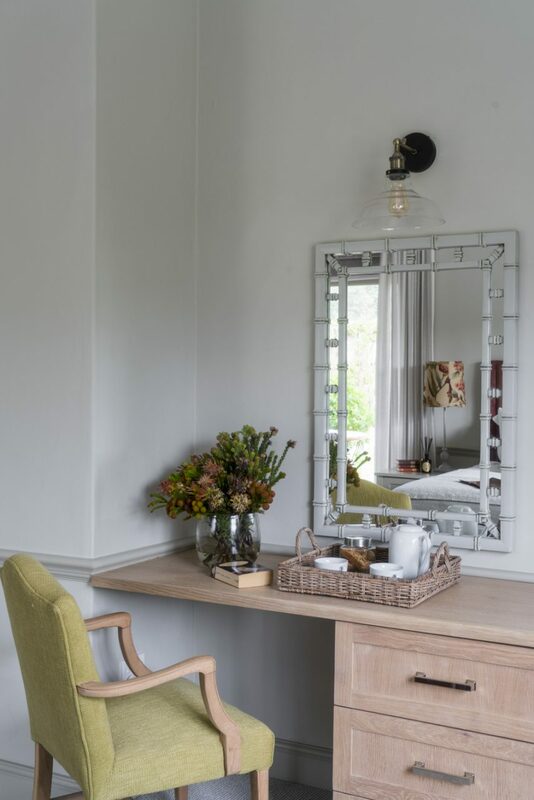 Cool in summer and warm in winter, your every need is catered for with fluffy gowns, soft carpeting underfoot and inviting seating areas to relax and read. 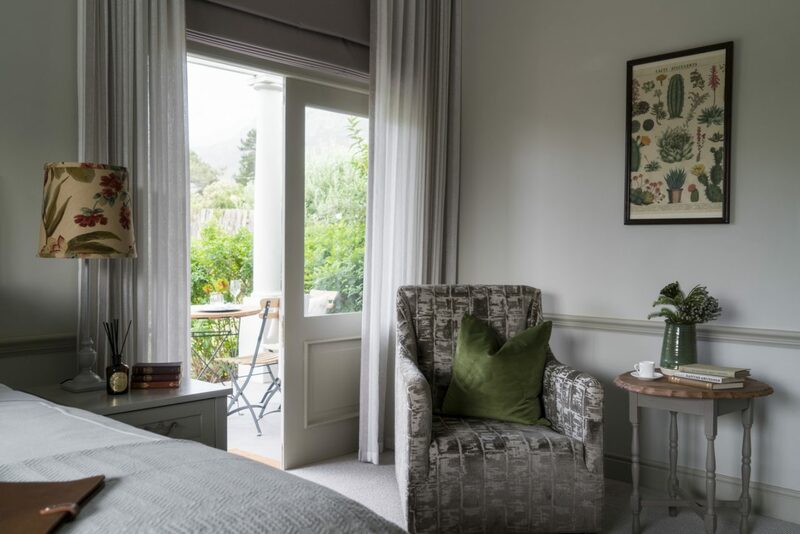 Framed vintage botanical prints and natural textures add interest and you can’t help but unwind on percale linen in the extra-length super-king-size bed (when the two ¾ beds are pushed together) or relax on the private veranda enjoying the views before a long soak in the bath. This room is ideal if sharing with children aged 12-18 for an extra R1000 in Low Season, and R1500 in High. We regret no children under 12. 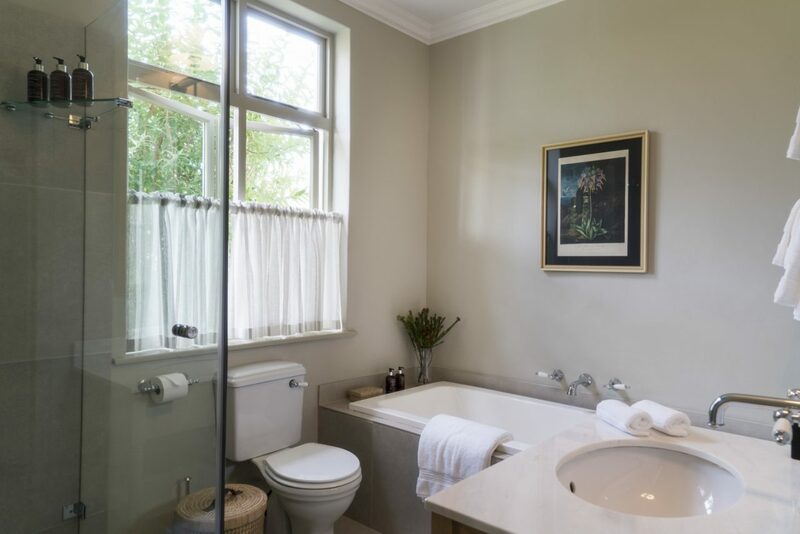 Smoking is strictly prohibited in the rooms, main house and public areas as per South African Smoking Laws.